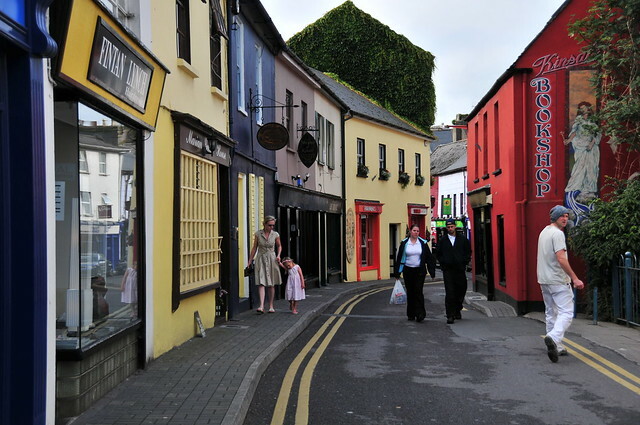 Leprechauns, legends, James Joyce, Guinness, and green hills—you’ll find them all when you visit Ireland. This is a country that lives up to many of the stereotypes given it: rainy weather, green hillsides, excellent beer, and cozy pubs. Still, the country can surprise you. Dublin, the capital and largest city in Ireland, is a multicultural city and many who live there are immigrants from Eastern Europe who came here for jobs after several Eastern European countries joined the European Union. Lush green rolling hills, mist shrouded ruins, rocky coast with waves crashing against the cliffs…welcome to Ireland. 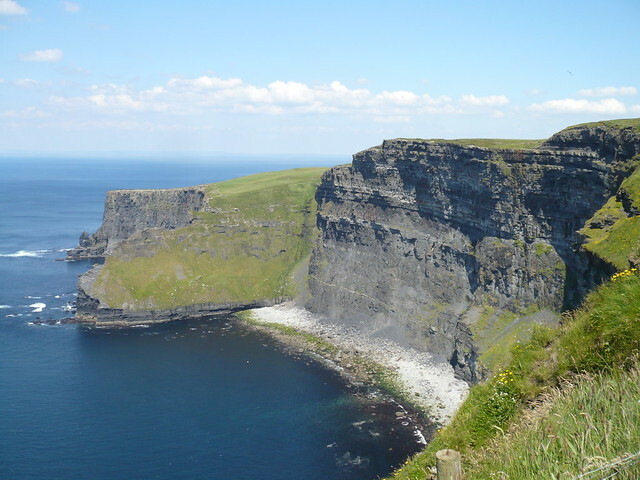 Although Ireland is a small country, its topography is quite varied. Wide-open pastures mark western Ireland (you may even spot cows grazing along the runway at Shannon airport) both inland and on the coast. You can enjoy farm fresh produce, locally made cheeses and jams, and seafood caught that day. 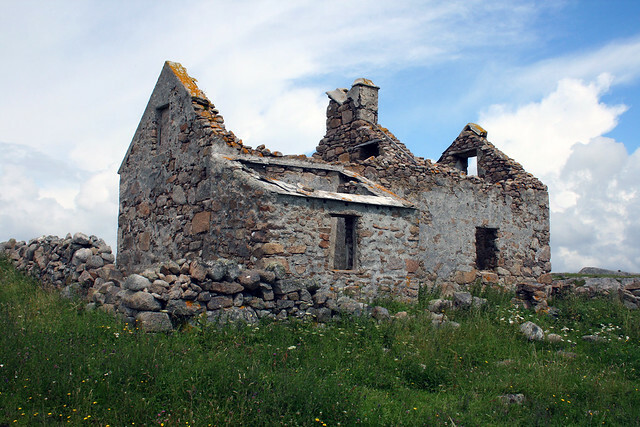 But you’ll also find the Burren, a stretch of rocky, barren land full of crevices and caves where little grows, but that which does grow, flourishes. Walking is a particularly good way to see Ireland. Many way-marked trails wind through the country for hundreds of miles. You can take a day hike along one or plan your entire vacation around an intriguing trail. The Wicklow Way winds through the Wicklow Mountains outside of Dublin, which makes it easily accessible to Ireland’s largest airport and bustling capital city. Along the Wicklow Way you’ll see the lakes of Glendalough, walk along forested valley floors, and likely get rained on a bit. Throughout the mountains, you’ll find little towns to explore and spend the night in and endless opportunities for camping. 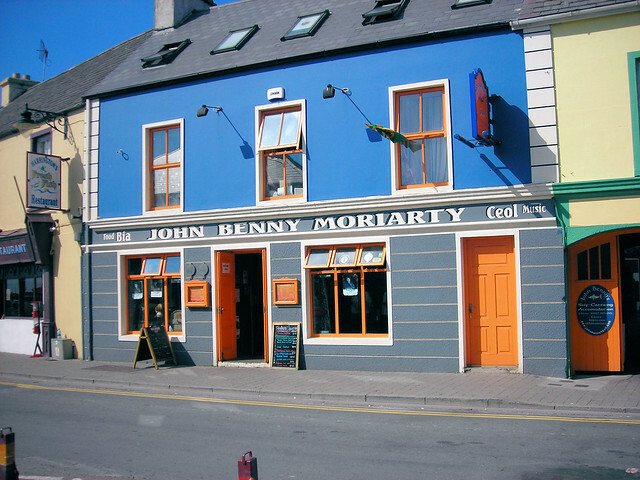 The Irish pub scene is reason enough for many people to visit Ireland. From iconic Guinness to tasty microbrews, beer is necessary on a visit to any pub. The legendary Guinness is still brewed in Dublin and you can tour the Guinness Storehouse there. The Storehouse has several floors of interactive exhibits including rooms taking you through the beer-making process, and posters and videos of Guinness ad campaigns. At the end of the tour, you can sip a pint of Guinness in the Gravity bar with a 360-degree view of Dublin. Another famous Irish beer, Smithwick’s, is brewed in Kilkenny. You can tour the brewery there as well or just drink up as you travel throughout the country. Smithwick’s is known for its Irish red ale, which has a ruby color. Ireland is also known for whiskey production. There are many regulations surrounding the production and labeling of Irish whiskey. If it’s Irish, it must be made in the Republic of Ireland or Northern Ireland, aged for three years, and follow several other key rules. In Dublin, you can tour the Old Jameson Distillery to learn how the whiskey is made and sample the product at the end of the tour.